Every nation grooms its forests, planting replacement trees, keeping forests in place for environmental and aesthetic reasons, but Israel HAD to plant trees. We know there were trees in Biblical Israel…when the Queen of Sheba knocked on Solomon’s palace door…ostensibly to observe his wisdom…1st Kings 10:27 notes that silver was as plentiful as stone and forests were common. 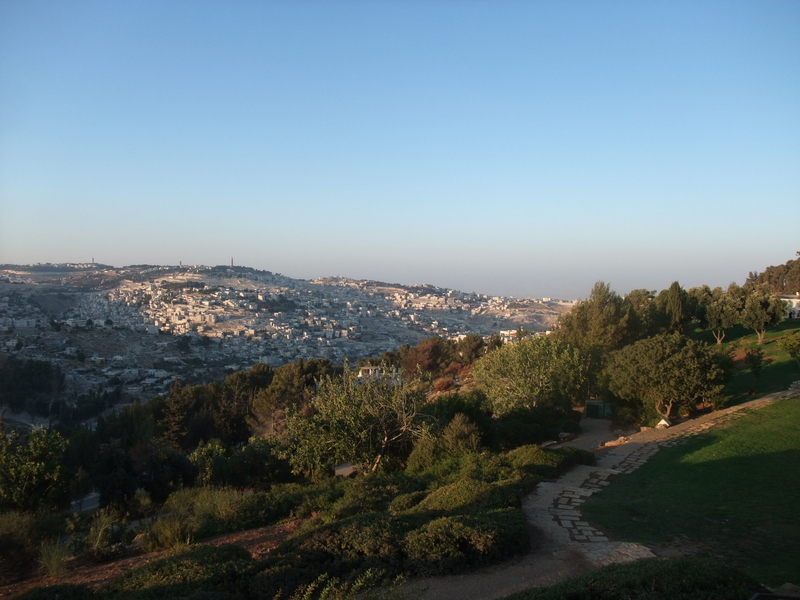 In addition, Joshua 17: 18 sets the “forests of the hill country” as a boundary for land allotted to the tribes of Manasseh and Ephraim, while in 1st Samuel 22: 5, David leaves a stronghold (could have been Masada!) for “the forest of Hereth” in the land of Judah. Prior to WWI, during the rule of the Ottoman Empire, Palestine was stripped of its natural forests in order to build a railway to connect the far-flung empire. Thankfully, today, due to a massive reforestation campaign by the JNF, contemporary Israel boasts no less than 280 forests consisting of 185 million trees. This dedication to reforesting the Holy Land, even as many predicted failure, has changed the landscape of the country, rolling back the desert in several areas and significantly affecting the quality of the environment. The Peace Forest project began at the end of the Six-Day War in 1967 and unknown to those who embarked on the task, a marvelous archaeological discovery waited underneath newly planted trees. Many archaeological discoveries in Israel come from pure chance, someone starts to build a house, someone plows a field, somebody decides to remodel or workers begin to widen a road….in a forest! During a project to widen a road through the Peace Forest, workers stumbled across an unusually large burial site which yielded a bone box or ossuary. Although researchers took two years to authenticate the artifact, scholars realized that the Aramaic inscription carved on the ossuary, “Joseph, son of Caiaphas” referred to the man who served as a High Priest of the Second Temple during the early part of the 1st century CE. Yes, the very same Caiaphas, who, according to New Testament accounts, attempted to preserve his position and power by conspiring with Pontius Pilate and the Jewish Sanhedrin to condemn Jesus to death. Josephus, the first century historian, identifies the high priest at the time of Jesus not only as Caiaphas, but specifically “Joseph Caiaphas,” and he confirms the timing of his rule, from 18 to 36 AD. (Jewish Antiquities 18.2.2) While the presence of Caiaphas’ bones in the box cannot be verified, the age of the bones and the inscriptions point directly toward Caiaphas’ prominent family. In addition, one of the other ossuaries found at the burial site contained a bronze coin minted during the reign of Herod Agrippa I, and that coin archaeologically dates the Peace Forest burial site during the time of Caiaphas’ 1st century influence. Avram Hersko, the Jewish 2004 Nobel prize winner in chemistry, points out that “when you discover something that is not what you asked for, you should follow it up.” In other words, don’t miss the forest for the trees! We know from the Gospel accounts that the Pharisees spent their lives studying every scriptural detail of the coming Messiah, how He would rule, where He would or wouldn’t come from, but they missed Who He would be. Are we too absorbed in the details that we lose sight of the bigger picture? Do we get so occupied with WHAT we know that we miss WHO we should know? The discovery of Caiaphas’ Ossuary verifies the Gospel accounts of people, places and events. It happened because of deforestation, reforestation, the Six-Day War and the planting of the Peace Forest. We can get stuck on each situation that led up to the discovery, after all several were heartbreaking, and miss the fact that God is in control, He is real and His Word is true, the Holy Land keeps giving the world proof of this truth…over and over. Add Your Email to Get Info! Enter your email address to get new information as soon as it is posted.